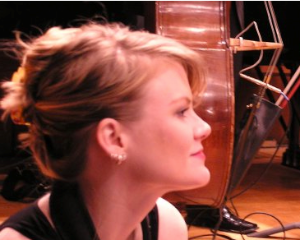 A native of Tucson, Arizona, Stephanie Long first received her Bachelors of Fine Arts in Jazz Studies from the University of Arizona, where she studied saxophone, flute, clarinet, and oboe. In 1997, Stephanie lived at Disney World for a summer, playing in the College Orchestra, and in 1998, received a DownBeat magazine award for her quartet, SaxMania. She began her graduate studies in saxophone at the Hartt School of Music in 1999 studying with jazz legend Jackie McLean. She has performed in dozens of regional pit orchestras, and on-stage in the New York Musical Theater Festival as Juice in HOT & SWEET in 2006. Stephanie also holds a regular gig each summer at the Monomoy Theater on Cape Cod playing for musicals. Her passion for playing is equaled only by her love of teaching and she keeps an active studio in New York City, which you can learn about at www.MusicWithStephanie.com.